Sometimes, an umbrella stroller is just not enough - you want the storage basket, large sun canopy, cup and tray amenities that are offered by traditional standard strollers, at the same time, you do not want to compromise the compactness, ease of foldability and lightness of an umbrella stroller. 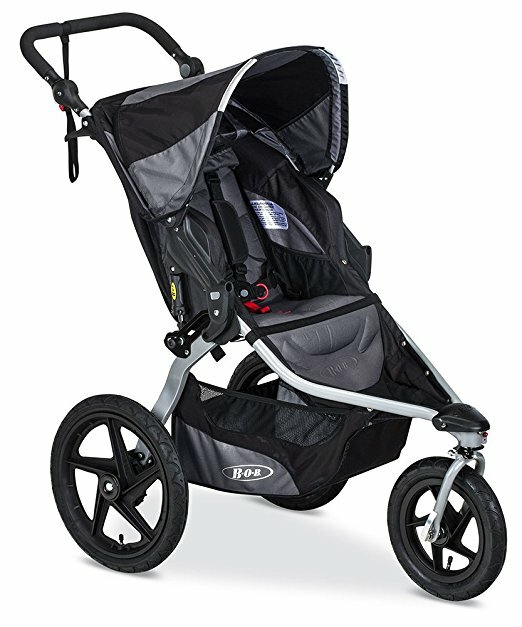 Ladies and gentlemen, a Lightweight Stroller is exactly what you need! 1. What Is A Lightweight Stroller? A lightweight stroller is very similar to an umbrella stroller, so much so that many may not be able to tell the difference between the two. Both are very light and convenient and are meant for short trips, however, lightweight strollers generally have more features than umbrella strollers, such as bigger sun canopies, cup holders, storage basket, adjustable seats and for some, even child and parent trays. Despite these features, they are not as bulky and heavy as traditional standard strollers, which is why many parents are happy to have just one lightweight stroller for their everyday purpose. You can say a lightweight stroller is the best of both worlds! Of course, more often than not, is that lightweight strollers are used solely as travel strollers by parents because of their ease and convenience. Weighing just 11.8 pounds, the Kolcraft Cloud Plus Lightweight Stroller is hands down the best lightweight travel stroller to bring with your travels abroad. Featuring a three-tier canopy that is big and extendable, you can be sure your baby will get maximum UV protection sitting in this stroller. 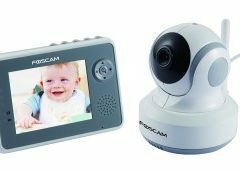 The peek-a-boo window lets you keep watch of baby easily without having to move to the front each time you want to check on baby. The seat is reclinable so baby can nap comfortably in an almost lay flat position, and the 5 point safety restraint system will keep him/her snug and safe. A large basket is located underneath the seat for you to store all baby's necessities and you can access them easily, thanks to the large opening. The child tray with dual cup and juice box holder is easily removable if not required, and the parent tray allows you hold two drinks, not to mention extra storage area for valuables like keys and phone. Best of all? The Kolcraft Cloud Plus Lightweight Stroller can easily be folded with one hand and stands on itself once folded, so it makes for one of the most convenient and best lightweight stroller for travel and vacations! A cheaper alternative would be the Rocket Lightweight Stroller from Baby Trend. 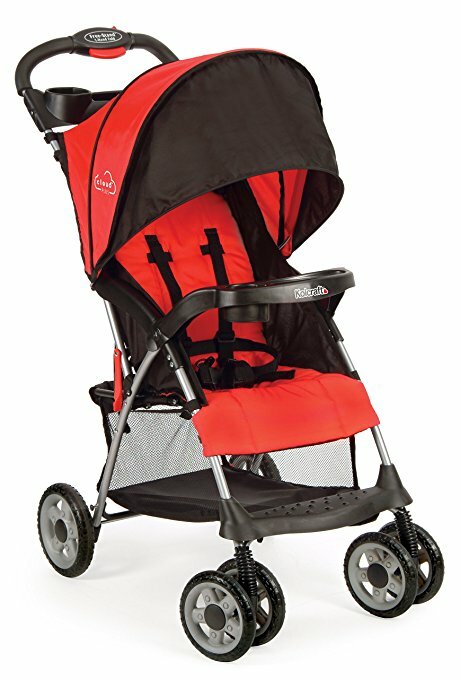 This stroller is super lightweight at 12.5 pounds and folds very compactly for travel and storage. 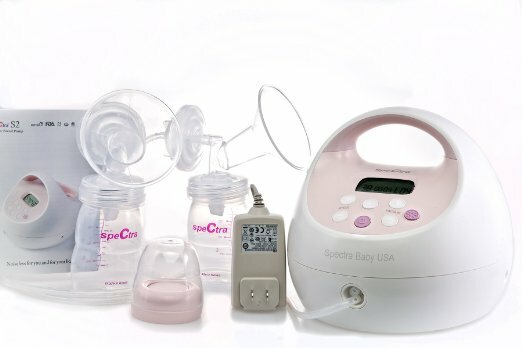 Like the Kolcraft Cloud Plus, it also comes with a reclining seat for baby's comfort during your outings. Likewise, it also comes with a large canopy, parent organizer with two cup holders and a storage basket underneath the seat for all your goods and necessities. Baby is kept safe and secured in a 5-point safety harness while parents' convenience is taken care of with the comfort grip handles and foot-activated dual-rear parking brake. The Baby Trend Rocket Lightweight Stroller is the best lightweight stroller for 4 year old because its best recommended use is for toddler weighing up to 50 pounds or 40" tall, which is the average height and weight of a 4-year old, sitting upright unassisted. Good news for those in the hunt of the best travel stroller for infant - the new Joovy Groove Ultralight Umbrella Stroller is newborn ready until children up to 55 lbs! With a deeper recline and a bassinet mode, this stroller is able to accommodate newborns so you can be on-the-go with him/her whenever you feel like it without having to wait until s/he fits the stroller minimum weight requirement. An improved 4-wheel suspension and adjustable footrest makes the ride more comfortable for your little one and the two in-seat mesh pockets keep bottles, sippy cups, snacks or toys within reach. All fabric found features a new soft brushed component that is water resistant and the UPF 50 canopy keep the sun away while the peek-a-boo window allows you to keep an eye on baby at all times. Further, a second parent cup holder is added to this new version and the upgraded wheels make it easier than before to push and manoeuvre through narrow pathways. 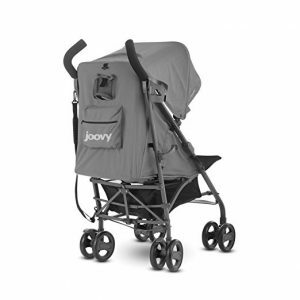 At 14 lbs, the Joovy New Groove Ultralight Umbrella Stroller is slightly heavier than the two above but nonetheless, still light and convenient enough for travel especially when a carry strap is included to fit comfortably on your shoulder. It is not voted as the best stroller for air travel for no reason! 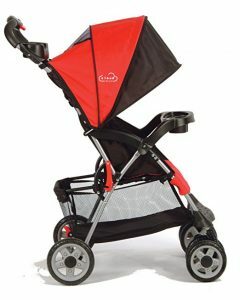 When it comes to jogging strollers, you cannot expect them to be as lightweight as say, a travel or umbrella stroller. This is because a good jogging stroller is often made with sturdy materials to sustain the bumpiness it inevitably has to face in meeting all kinds of terrains. 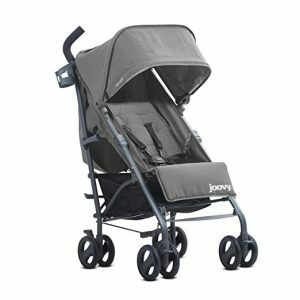 Nonetheless, the Joovy Zoom 360 Ultralight Jogging Stroller is one of the best lightweight jogging stroller in the market we'd highly recommend. Weighing at 25.7 pounds, it is among the lightest joggers among the many competitions in the market, thanks to the graphite coloured aluminium frame and black rims that it employs in its design. In addition, the aluminium frame is equipped with shock absorbing suspension to smooth out the bumps while you walk or run, making it comfortable for your little one. This new updated design from its predecessor includes adding a straight through axle that runs straighter and truer and it is this feature that puts the Zoom 360 Ultralight in-line with high end competing jogging strollers. Further, the swivel wheel can also lock in a straight position to provide a long, stable wheelbase for running or walking on long, straight paths, and the new easy on/off mounting system makes for overall a dream maneouvrability. One thing that is worth mentioning is the ability to create a travel system with your infant car seat with this stroller's easy click-in system. While jogging stroller with car seat is nothing new in the market, there certainly aren't many that is of such weight. If you wish to bring your infant on the go with you, this is the best jogging stroller with car seat to consider. Other amazing features include Joovy's signature oversized canopy with covered windows to provide the best sun protection available, an updated neoprene parent organizer with 2 cup holders, a zippered pocket and easy to access storage basket. And do you know it is also one of the jogging strollers that has the highest riding seat in the market? This offers great visibility to your child while seated comfortably and it is sturdy enough to support up to 75 pounds of him/her. 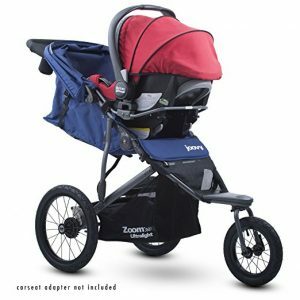 Quick and compact to fold up, the Joovy Zoom 360 Ultralight Jogging Stroller is definitely one of the best jogging stroller that will not break your bank account. 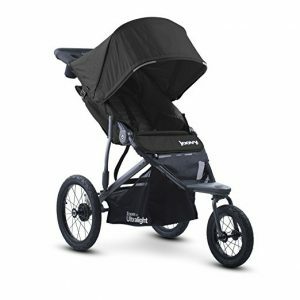 Another hugely popular lightweight jogging stroller is the Baby Trend Expedition Jogger Stroller, understandably so, as you can buy it at less than $100 for certain colours! 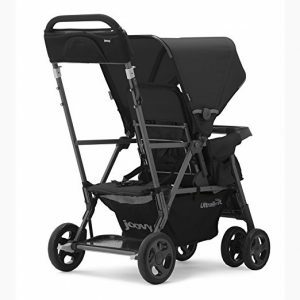 Slightly heavier than the Joovy Zoom 360 Ultralight (because it is not constructed of aluminium but of lightweight steel frame), the Expedition Jogger Stroller is still at a delightful 27 lbs, which makes it easy to pack and transport around. It features large bicycle tires and a front swivel wheel that can be unlocked for low speed manoeuvring or locked into place for jogging or running. The stroller folds effortlessly with a trigger release into a compact fold (well, as compact as a jogging stroller is able to) for easy storage or transport and the extra wide ergonomically shaped rubber handle is both soft for pushing and cushy when transporting. Other features include a parent tray with 2 cup holders, a storage compartment, extra large storage basket and child tray with cup holder. 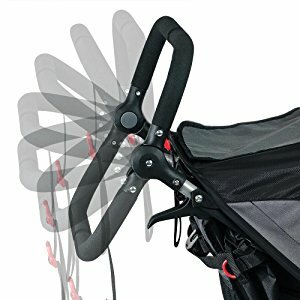 The multi-position reclining padded seat has a fully adjustable 5 point safety harness and tether strap to keep baby safe, and the fully adjustable ratcheting canopy block out harmful sun rays and wind. And oh, the footrest has reflectors installed in to provide greater low-light visibility. 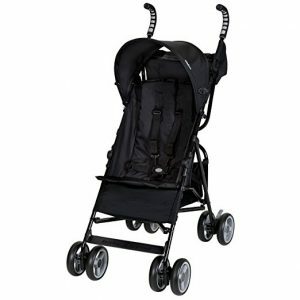 Similarly, the Baby Trend Expedition Jogging Stroller is also one of the best jogging stroller carseat combo as you can attach an infant car seat to the child's tray to create a travel system. Make sure to check if your brand of infant car seat fits first, though all that are from Baby Trend (e.g. the Flex-Loc and Inertia) make for the best jogging stroller carseat combo. If you do not wish to use it as an infant jogging stroller, it makes for the best jogging stroller for toddler up to 5 years or 55 pounds. Last but not least in the lightweight single jogging stroller department is this 2016 Revolution FLEX Jogging Stroller from BOB. Don't think just because it is an 2016 version that the Revolution FLEX is outdated - it is, to date, still the ideal No. 1 all-terrain stroller that many parents rave about. Do note though, this is no cheap jogging stroller - out of the three recommended strollers, this is by far the most expensive one, but justifiably so. 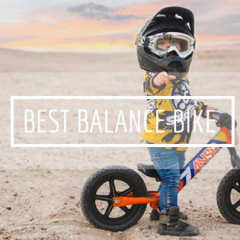 First of all, it features a state-of-the-art adjustable suspension system that takes bumps in stride by offering 3 inches of travel and 2 stages of weight support for an ultra-smooth ride. 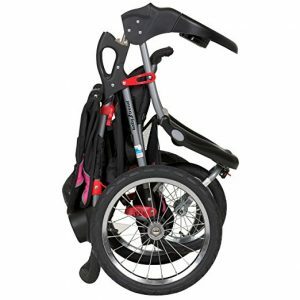 A swivelling-locking front wheel swivels to manoeuvre tight turns with ease besides allowing forward locking for increased stability when jogging or on rough terrain. Do note that the jogging stroller tires can lose air pressure naturally over time or with inactivity (similar to a bike tire), but they can be inflated simply with a hand or bike air pump easily. And we cannot miss mentioning the adjustable padded handlebar that offers 9 positions to create the perfect fit for parents of all heights. This way, be it you are a petite or extra tall parent, you will be able find the most comfortable pushing position to avoid backaches or sore lower backs. 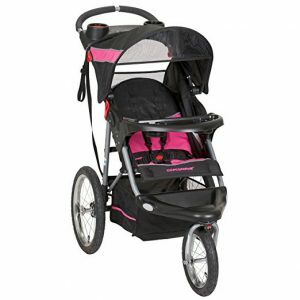 Another jogging stroller travel system, the BOB 2016 Revolution FLEX Jogging Stroller can be paired with the BOB B-Safe 35 Infant Car Seat to create the best jogging stroller travel system for your lifestyle. Don't worry, any other major brand car seat will fit well, too. Your child will love the fully upright seating option and you only need one hand to adjust the seat angle. And keep all your supplies, gear and even a few toys in the extra-large cargo basket. When you're done for the day, fold the stroller in seconds and get going. The BOB Revolution FLEX is the ideal on- and off-road jogging stroller, for outdoor enthusiasts and urbanites alike, keeping families active for the years to come. So whether you want a vigorous training session or a nice long walk, the Revolution FLEX is the ideal stroller for you. No wonder it is the best bob stroller to date of the brand! For those having double bundles of joy, you will want to look for a double stroller that you can push with ease and lightweight enough because well, your double bundles of joy are quite the heavyweights themselves already, isn't it? For that, the DuoGlider Click Connect Stroller from Graco will certainly fit the bill as one of the best inline double stroller that weighs less than 30 pounds. To be exact, this double stroller weighs 27.37 pounds, which if you think about it, is truly as lightweight as you can get considering it is only slightly heavier than the other strollers mentioned in this stroller review, easily making it as one of the best double stroller for travel. And there is a reason why we think it is one of the best double stroller for twins - it features stadium-style seating, so the child sitting in the rear is slightly raised for a better view and not kept in the dark. Further, both seats feature a reclining seat, child's tray, rotating canopy and footrest to keep both your little passengers nice and comfy. And the rear seat can be reclined completely flat if your little one decides to take a quick nap. For parents, the best feature will no doubt be the one-hand, standing fold that closes easily with no bending necessary, leaving one hand to be always free to handle baby. The easy-to-access drop-down storage basket lets you reach for the necessities without disturbing your reclined child and the parent's tray with 2 cup holders lets you keep your valuables within easy reach. The DuoGlider Click Connect Stroller accepts two Graco infant car seats too to make for a convenient double stroller travel system so you can bring your newborn twins around on-the-go. Otherwise, it can hold 2 children up to 40lbs each so you know you will get considerable use out of this tandem stroller. Best of all, it is one of the best affordable double stroller at less than $150, which if you'd ask us, is a pretty awesome deal considering its top quality that is comparable to high-end brands! 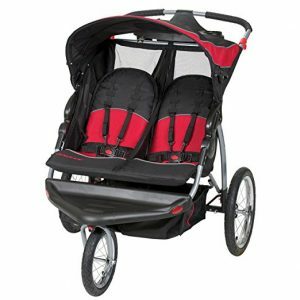 Another best rated double stroller is this Baby Trend Expedition Double Jogger, a double running stroller for those that want to keep active with their little ones. This baby jogger double stroller is a dual-seat stroller that comfortably fits two children, each up to 50 pounds. It's the ideal way to take twins or close siblings along on daily activities as it is built heavy duty enough to manage even the roughest terrain of all. Indeed, this Baby Trend Expedition Double Jogging Stroller uses durable all-terrain pneumatic rubber bicycle tires, so whether you're running errands around town or running along a trail, this stroller can roll right along with you. 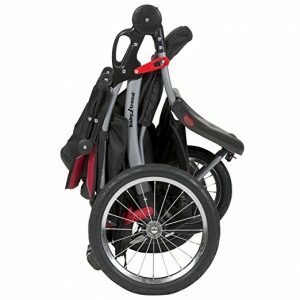 It also uses a foot-activated rear brake for quick and easy stopping when you need your hands free, in addition to lockable front swivel wheels when you jog and run. Both seats offer multi-position recline with 5-point safety harness to keep your children tuck safely. And when not in use, the quick release tires allow you to fold it up compactly as pictured left. If you're looking for the best all terrain double stroller or best side by side stroller, look no further - the Baby Trend Expedition Double Jogging Stroller is the best jogging double stroller that will definitely not disappoint you! 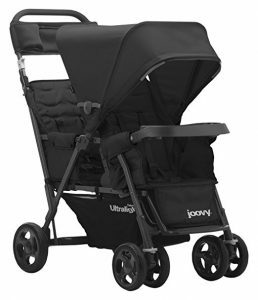 For those looking for the best stroller for toddler and infant, because not everyone has twins, the Joovy Caboose Too Ultralight Graphite Stand-On Tandem Stroller is the best tandem double stroller that will cater to your needs. If you do not already know, this version has everything that the Caboose Ultralight Graphite stroller (the one that many of you love and rave about) has, PLUS a full-size rear seat. This is to cater to those whose children are too young (less than 2.5 years) to use the rear bench seat and standing platform. The full-size rear seat has a multi-position recline and holds a child from 6 months to 45 lbs while the front seat, which can recline up to 3 positions, accommodates a child from 3 months to 45 lbs. Don't worry, the rear seat is fully removable if your child is old enough to stand on the platform, or sit on the rear bench seat. Talk about flexibility! And the flexibility doesn't stop there - if you wish to stroll with an infant, it's easy to create a travel system with the included universal car seat adapter. Yes, you've read it correctly - you do not need to buy the adapter separately - simply attach your existing car seat and voila, you have the best tandem stroller for infant and toddler, no matter their age gap! 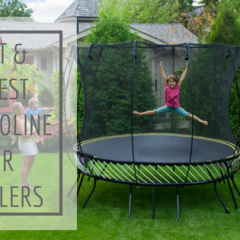 ​The Best Stroller & Car Seat Combo of 2018- A Mom’s Guide to Choosing the Best Baby Travel System​​​A large canopy is installed to provide ample coverage, without neglecting the rear seater as the rear canopy extension covers the rear child well too when seated. 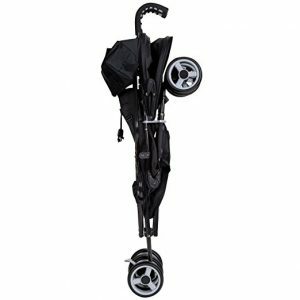 The parking brakes and all-wheel suspension gives you the best all terrain stroller manoeuvrability, and the included parent organizer holds two beverages and has a zippered pocket for your valuables. We didn't forget the crux of this double jogging stroller reviews - lightweight. You will be surprised to find that this tandem stroller weighs 23 lbs only, even with the full-size rear seat on. Remove it, and you're taking 2lbs off the overall weight. Nonetheless, the maximum child weight it can hold is 90 lbs. Safe to say, the Caboose Too Ultralight Graphite Stand-On Tandem Stroller is extremely compact and lightweight. And when combined with its small footprint and sealed ball-bearing wheels, it makes the stroller extremely maneuverable - especially for a double stroller. Even better, it includes Joovy's 2-year manufacturer's warranty - this is certainly the best double stroller for infant and toddler, or best sit and stand stroller as some would call it, that is worth the investment! If you'd like to find out more about double strollers and the different types they offer, go over here to read the extensive review we have on what's some of the best double strollers in each category they have to offer! 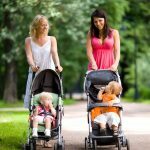 What are the best lightest umbrella strollers of 2018? 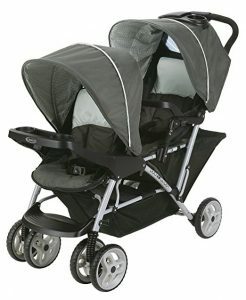 Sometimes, an umbrella stroller is just not enough - you want the storage basket, large sun canopy, cup and tray amenities that are offered by traditional standard strollers, at the same time, you do not want to compromise the compactness, ease of foldability and lightness of an umbrella stroller. Ladies and gentlemen, a Lightweight Stroller is exactly what you need! Find and compare some of the best Black Friday and Cyber Monday deals - don't miss out! RARE 35% OFF - HURRY BEFORE BLACK FRIDAY SALE ENDS!